A mask protects a player's face against hit. The most important is a sight safety. The lens of the goggles has to survive any kind of a hit that is why the lens is toughened. Ski goggles cannot substitute this function. Thanks to the thermal paintball lenses that reduce fogging of a mask, the single lenses are ranked in the paintball history. Tactical gear is not essential, although can help to the victory. The utility can easier control demanding situation. The gloves are made of a resistant material and it protects a hand up to the wrist. At the top part there is placed a plastic protector which reflects hits. The lower part is made of a resistant fabric which reliably protects your hands while you move on the field. Paintball gloves are not an essential part of a paintball gear, although it is better to have them. We have fingerless gloves and finger gloves at our disposal. 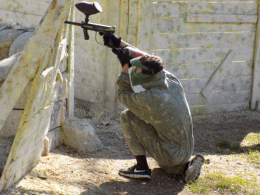 Paintball overall protects you from tip to toe. It is made of a strong fabric with camouflage patterns. 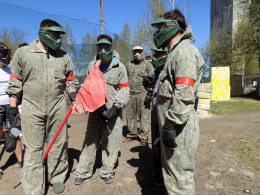 An overall is the best option for playing paintball.